For the Princess in you. 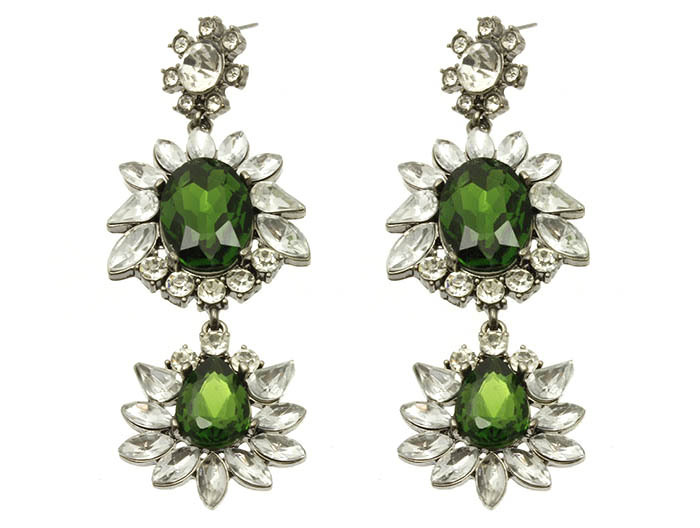 The Perla earrings are a tri-drop, radiating in clear quartz and emerald crystal stones, bursting in various arrangements across a cast silver base. Wear with a slicked back ponytail and a little silk number. At Oz Bling cheap jewellery doesn't mean cheap quality. We guarantee high standards of quality at lowest prices.